Nothing too magical about this one. Try as they might, app companies just can't seem to figure out that multiple clones of the same types of games over and over don't actually equate to something good. 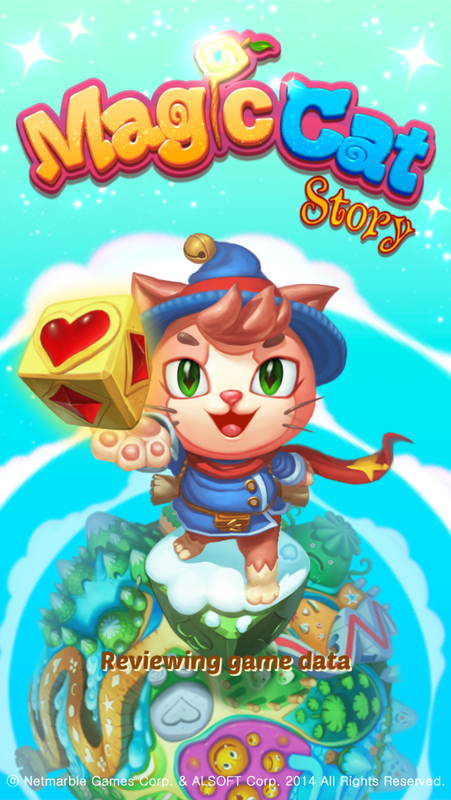 Magic Cat Story is one of the latest offerings to come from these assumptions, and it's just as bland as the puzzle games to have come before it. Fortunately, this one at the very least tries something somewhat new, but in the end it falls just as flat as the games that came before it. Magic Cat Story's cute, and it's all-around a feel-good kind of game. The graphics are pretty and pastel, with an anime-themed lilt and high production values. It's clear a decent amount of time and money went into making this game appeal to the same audiences that eat up Candy Crush Saga and the like, and the animals themselves (who have been turned into such by an evil wizard) are cute enough to entice you into playing. The matching mechanics are turned a bit on their head, as you're given a Tetris-like setup in the form of a puzzle block that's continually falling. You must turn it to match the blocks at the bottom of the playfield, in contrast to the same freemium titles that have you swapping tiles or working with things already on the board. At least there's a bit of a different strategy involved where you have to use a bit of caution as to how you're going to approach each level. Everything, from simply starting to play the game to retrying a level you can't complete, is governed by the usage of hearts/lives. There's a very strict paywall here in place, encouraging you to spend cash for extra power-ups, lives, and more. There's also very little replay value given the fact that each and every stage basically requires the same exact thing from you. There's also no "story" to speak of. You've played Magic Cat Story, time and time again. It's a serviceable enough puzzle game that there's some use to be found in, but there's just no reason to pick it up given the sheer number of similar games out there. It's cute, but there are other titles out there more deserving of your time.